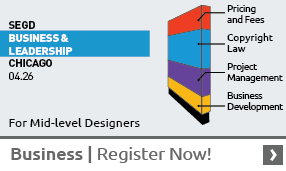 David Gibson leverages the power of design to transform people's experience of public space. With sensitivity to context and a talent for consensus building, he leads comprehensive wayfinding strategy and signage programs for leading institutions and organizations around the country. As Two Twelve's founding partner, David Gibson fostered the firm's strength in environmental graphics and has long been an advocate for using good design for the benefit of the common good. David Gigson is responsible for some of the firm’s highest profile projects including wayfinding and signage design for the Yale University campus and Radio City Music Hall; master planning and environmental graphic design for Children’s Hospital Boston and Massachusetts General Hospital; identity design and pedestrian signage systems for the City of Charlotte, North Carolina and Downtown Brooklyn; and signage for Severance Hall, home of the Cleveland Orchestra. He has led more recent projects for The Alexandria Center for Life Science on Manhattan’s east side, Princeton University, and The Johns Hopkins Hospital. An internationally recognized and published designer, David Gibson began his career with the Ontario Ministry of National Resources in his native Canada. He studied architecture at Cornell University, attended the Nova Scotia College of Art and Design, and received an MFA in graphic design from Yale University. ViewDavid Gibson's work and read more about his firm Two Twelve. 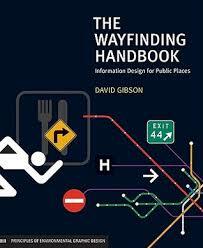 Read more about David Gibson's book The Wayfinding Handbook. Click hereto purchase it.